After 25 years of being happily married, Thomas Rossi gets the shock of his life when his wife Denise presents him with divorce papers. Completely unaware that his wife won 1.3 million in the California Lottery only 11 days before deciding to divorce him. The Californian Family Court passed a decision based on her simple act of greediness. Was it a harsh price to pay? The important moral of this story is; it pays to be honest from the beginning. Surely after this, Denise Rossi has learned her lesson. 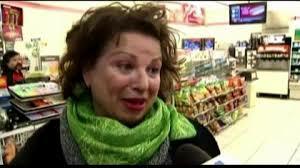 She has not only lost her husband of 25 years, but also her lottery winnings of 1.3million US dollars. Denise decided to divorce her husband after she found out she became a winner of the Californian Lottery, as she simply did not want her husband to get “his hands on it!” The Californian Family Court saw this as an act of fraud or malice and decided that Thomas Rossi deserves to receive all his wife’s winnings. Thomas Rossi had no idea for about 2 years after his divorce proceedings started that his wife was indeed 1.3 million US dollars richer. One afternoon he received a post which notified him that Denise won a share in the lottery and in turn this had started new proceedings in the divorce matters which were clearly favourable to Thomas at the end. Denise claimed to have been very unhappy with Thomas for a long time and decided to keep quiet and be a good wife. This story was not successful in court and neither were her many appeals to get her winnings back were unsuccessful. The question remains would she have filed for divorce should she not have won the lottery? This lesson teaches us that the truth will always come out in the end and greed is rightfully one of the seven deadly sins.